After being arrested the average person is only able to focus on taking things one day at a time. Getting through a court hearing, sentencing, and serving jail time or paying a substantial fine are all extremely stressful experiences. Unfortunately, punishment does not always end after a sentence is served and a fine is paid. People with a criminal record have difficulties in every aspect of their lives that make it hard to move forward. A criminal history can hold a hard working adult back, making exploring the benefits of having your criminal records sealed a worthwhile endeavor of any person with an eligible criminal record. Private renters and large apartment complexes often perform background checks prior to renting property. 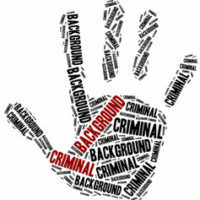 During these background checks a homeowner or property management company may become aware of your past criminal history. Even if you are able to pay for the property, have a verifiable history of being a good tenant, and are otherwise a good candidate, it is possible to have your application denied because of your criminal background. Having your criminal record sealed keeps your background hidden and confidential from certain people. The information pertaining to your arrest is no longer a matter of public record allowing you to find a safe place to live without being hindered by your background. Even though many states discourage discriminating against potential employees with a criminal record, having a criminal record makes it hard for job seekers to compete with other candidates. When given a choice most companies will hire an individual with a clean criminal background. Having your criminal history sealed gives you an opportunity to apply for a job without fear of being denied based solely on your history. While there are certain types of employment (Department of Education, Department of Children and Family Services, etc.) that legally require applicants to acknowledge an arrest, having your criminal record sealed gives you an opportunity to work for most private organizations without bringing up your past. After securing a job with a criminal record it is still possible to be negatively impacted in the future. Obtaining a promotion is difficult especially when additional licenses are needed. Having a criminal record could negatively impact a job candidate’s ability to obtain a real estate license, or other types of certification. Even when a license or additional education is not necessary, employers may choose to overlook an employee with a criminal record in favor of a person without a record when the time comes to offer promotions. If you or someone you know has a criminal record that you would like sealed, a knowledgeable attorney can help. A qualified criminal attorney can check to see if you are eligible to have your record sealed and help you through the complicated process. The Mander Law Group is conveniently located in Dade City and is able to represent clients throughout the State of Florida. Contact our office today to schedule a consultation to discuss your unique situation.